Kendra is in her second year on staff. 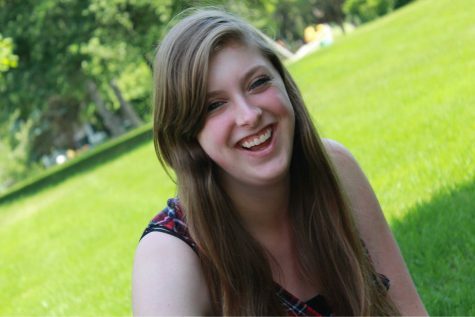 She is Online Manager of the TCT website, and has won a MIPA honorable mention award for an informative story. This past year she was Copy Editor, worked on various stories, and stayed after school for many hours to help create the print edition of The Central Trend. Kendra spends her time outside of school babysitting, petsitting, and spending time with her friends. She also often hangs out with the kids in her neighborhood. She also enjoys creative writing and taking photos with her Canon DSLR camera. She is a huge fan of many young adult novels, movies, and shows, including Harry Potter, The Hunger Games, and Marvel's Agents of SHIELD. Kendra's love of writing has blossomed due to inspiration from her favorite writers, which include Cassandra Clare, Jennifer Niven, and J.K. Rowling. Favorite book and why: All The Bright Places by Jennifer Niven. It's a beautifully written story about two teens battling mental health issues, and feels a lot more realistic than most teen books. If it is Friday night, you will most likely find Kendra: On the couch, with her friends, having a movie night!